The Olympic Peninsula is blessed with eight great wineries. You can visit all of them on a fun-filled day that takes you from Port Angeles to Port Townsend and back. Or, depending on where your starting point is, you can use our suggested wine tour route to plan your day. If you are coming from the East (Seattle, Bainbridge, Pudget Sound) go west on Washington Hwy 101 just a couple of miles past Port Angeles to Harbinger Winery. Located in a chic, sheet metal facility right on Washington Highway 101, you can’t miss it! Next stop is the beautiful grounds of Camaraderie Cellars, just one mile east on Benson Road. Continue back to the east on Hwy 101 through Port Angeles to Olympic Cellars, housed in a beautiful historic barn on the highway about half-way between Sequim and Port Angeles. Continue on Hwy 101 east to Sequim and visit the Olympic Peninsula’s newest winery, Wind Rose Cellars, located in downtown Sequim. Continue on HWY 101 east to Discovery Bay and the turnoff to Hwy 20 north. Eaglmount Wine & Cider’s woodland tasting room is just 3 miles away. Travel north on Hwy 20, turn off to FairWinds Winery’s country setting just a little further north. On your return to Hwy 101, travel south on Route 19 towards Chimacum. 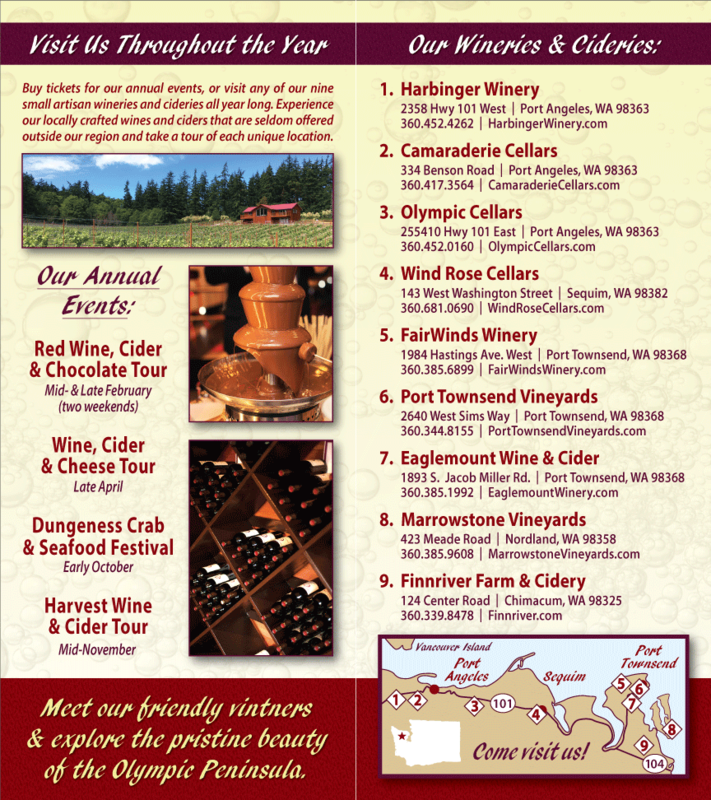 The last stop on your Olympic Peninsula Winery journey is Finnriver Ciderand sustainable farm, located off Center Road. Or, take the pressure off everyone and charter a tour. 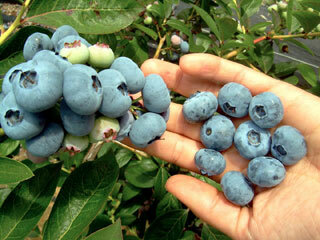 All Points Charters & Tours is a full-service tour and company located on the northern Olympic Peninsula. Willie Nelson, owner, has more than 15 years experience in providing the best in tour and charter services. He hosts a great full-day wine tour on Saturday. The tour costs only $85 per person, including lunch in Port Townsend and tasting fees. Please make reservations by calling (360) 565-1139 or (360) 460-7131. Sit back and enjoy the scenery between stops and don’t worry about your driving ability!